Kids First Health Care’s eighth clinic is now open at Brighton High School! 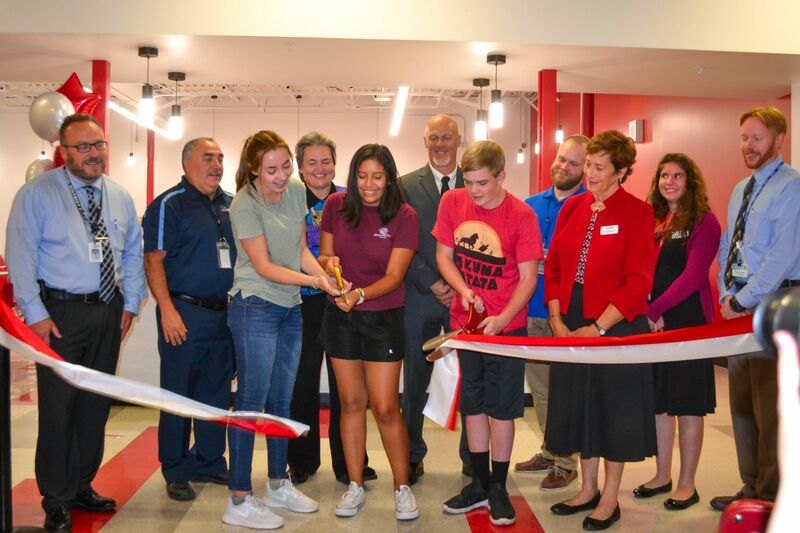 On September 6, Kids First Health Care celebrated the opening of the new school-based health center alongside project partners School District 27J, Salud Family Health Centers, and Community Reach Center. The celebration included the official ribbon cutting, tours of the health center, remarks from project partners, and healthy refreshments. Couldn’t make it to the ribbon cutting celebration? Take a virtual tour of the school-based health center with Fox 31’s Drew Engelbart. The school-based health center (SBHC) provides accessible health care at school, so students avoid health-related absences and get support to succeed in the classroom. Brighton High students can rely on the new SBHC to meet their needs for a full range of age-appropriate health care services, including annual physicals (which can be used for sports physicals), immunizations, sick and injury care, management of chronic conditions, preventive dental care, medical screenings, mental health counseling, and health education. All students who enroll in the SBHC can be treated for acute illnesses and chronic conditions, including asthma and diabetes. Enrolled students also learn how to maintain a healthy lifestyle and prevent disease through a comprehensive health education program focused on substance abuse prevention, smoking cessation, sexual education, and nutrition and weight control. Kids First would like to thank the following organizations for providing generous funding to make the new SBHC a reality! For more information, please visit the SBHC page on Brighton High’s website.